McManis & Monsalve Associates Joins HireVeterans.com! McManis & Monsalve Associates is a growing dynamic company providing professional services to Federal and private sector clients. Their employees play critical roles in supporting the national missions of Agencies that include the Department of Homeland Security (DHS), Department of State (DOS), the National Institutes of Health (NIH), and state and local agencies such as the Virginia Department of Education. The way they view risk has earned them a stellar reputation, exemplified by their rate of return business. The McManis & Monsalve difference starts with their perspective: they utilize their proprietary approach, Intelligence Led Management™, which is comprised of intelligence analysis tools and techniques along with decades of management consulting expertise, to thoroughly review the system in question and develop actionable intelligence. This better allows them to provide their customers with comprehensive solutions to their full portfolio of risks. Their capacity to identify the array of existing and emerging risks associated with specific organizational needs, along with their ability to introduce interventions, has resulted in improved practices and outcomes and tangible cost savings for their clients. Collaboration is also a cornerstone of their business; they are effective because they're there to help implement, not just write reports. 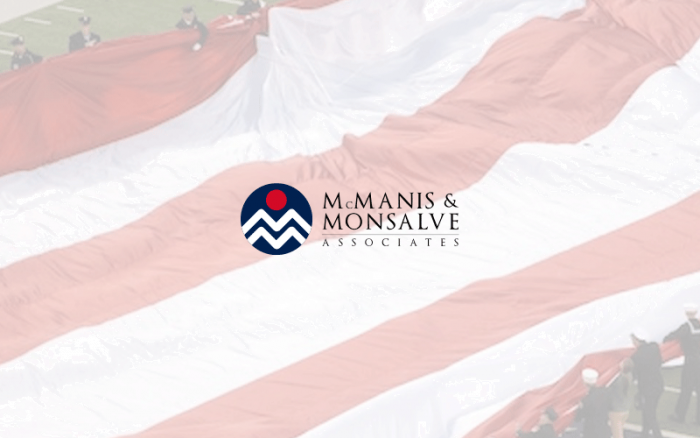 McManis & Monsalve Associates believe that the patriotic men and women who serve in the armed forces are essential to the strength of the nation and the well-being of our communities, and they value and recognize their many contributions. They proudly count former military and active National Guard and Reserve among their team and Board members. Their firm believes that Guard and Reserve personnel play an essential role in preserving their national security; as such they encourage employee participation in Guard and Reserve training programs. They encourage military personnel transitioning to civilian careers to apply to McManis & Monsalve Associates. Click Here To View And To Apply To All Of McManis & Monsalve Associates' Available Positions!